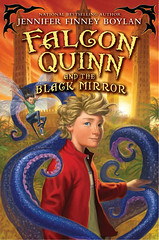 Falcon Quinn and the Black Mirror was written by Jennifer Finney Boylan, with help from her then-middle-school-age-sons Zach and Sean. A separate page tells the story of how Zach, Sean, and Jenny devised the story, starting with conversations around the dinner table in fall of 2007. The three continue to confer and scheme regarding future books in the Falcon Quinn series, the second of which will come out in 2011, from HarperCollins. Zachary Owen Boylan was born in 1994. He attended Belgrade Central School, in Belgrade Lakes, Maine, and Messalonskee Middle School, in Oakland, Maine, where he played baritone horn, and tuba in the MMS band. Zach delivered the “commencement” address at Messalonskee Middle in June of 2008. Currently Zach Boylan is in 10th grade at Kents Hill School in Kents Hill, Maine, where he is on the fencing team, the outing club, and is a member of Amnesty International. He has been in many plays on the KHS stage. In summers. Zach has attended the Chewonki Foundations wilderness programs, and in 2009 built his own sea kayak, which he sailed from Chewonki Neck to Acadia. 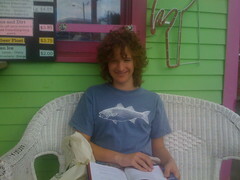 Sean Finney Boylan was born in 1996. He attended Belgrade Central School, like his brother Zach, before moving on to Messalonskee Middle School in 2007. 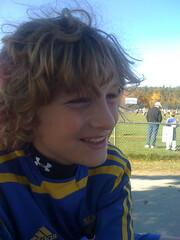 He has played on many soccer teams, including the Maine Novas, who were undefeated in 2009. He plays French horn and trumpet, and attended music camp at Camp Encore/Coda in Sweden, Maine, in 2009. He is devoted to soccer, the horn, his family, and the Boylan’s two dogs– Ranger and Indigo, black labrador retrievers. 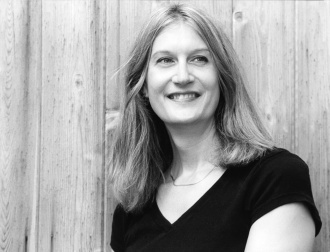 Jennifer Finney Boylan is a widely praised author and professor. Jenny has been a frequent guest on a number of national television and radio programs, including four visits to the Oprah Winfrey Show. She has also appeared (twice) on Larry King Live, The Today Show, the Barbara Walters Special, and been the subject of a documentary on CBS News’ 48 Hours as well as a biography on the History Channel. In 2005 Will Forte imitated her in a sketch on “Saturday Night Live.” She has also appeared on a wide range of local and syndicated television shows, as well as NPR’s Marketplace and the Diane Rehm show. In 2007 she played herself on two episodes of ABC’s “All My Children.” She has given plenary and keynote speeches at conferences on diversity and scholarship around the country, and at colleges and universities including Amherst, Yale, Wesleyan, Harvard, Dartmouth, Columbia, Vanderbilt, Duke, Bucknell, Johns Hopkins, Dickinson, Bates, Skidmore, Bowdoin, Ohio State, Middlebury, Gettysburg, the Univeristy of Maine, Georgia State, the University of Puget Sound, and Westminster College in Salt Lake City. She has spoken at law firms, at corporate events, and at bookstores from Seattle to Vermont. Her nonfiction has appeared on the op/ed pages of the New York Times, in GQ magazine, Allure, and Glamour. She is also an ongoing contributor to Conde Nast Traveler magazine; her most recent work there was on St. Kitts and Nevis, published in the January 2009 issue. Born in 1958 in Valley Forge, Boylan grew up in Newtown Square and Devon, Pennsylvania. She got her B.A. from Wesleyan University in 1980, and a masters from Johns Hopkins in 1986. Since 1988 she has been part of the English department at Colby College in Maine. 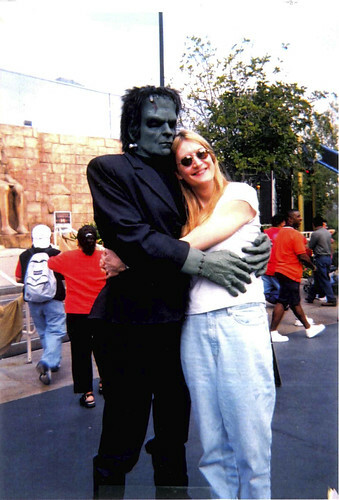 Jennifer Finney Boylan (right), with Frankenstein. In 2010, Jenny is scheduled to begin an appointment at Ursinus College in Collegeville, Pennsylvania, as the Hoyer-Updike Distinguished Visiting Creative Writer, named to honor the writers John Updike and his mother, Linda Grace Hoyer, for the contributions they made to American letters. Since 2009, Jenny has been on the judging committee of the Fulbright Scholarships, administered by the International Institute for Education, and sponsored by the U.S. Department of State.